If you could only read the mind of your groomsman, you’d know what to get for him without racking your brains. Men can be fickle too when it comes to their taste, but you can play safe with the choice of gift for your groomsman. 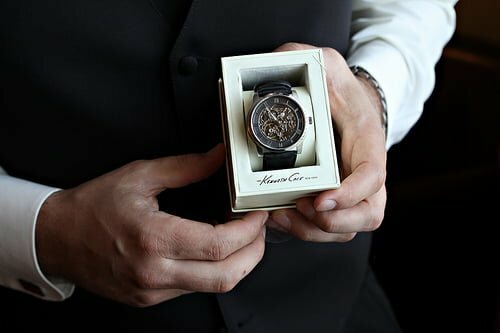 If your partner-in-life-to-be has chosen his best friend to be his groomsman for your wedding, it would be easy to choose a gift for him. 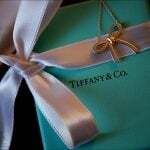 The worries however are: would he like the gift? Does he have use for it? Does he have a collection of similar items? Will he be bored with another of those groomsman gifts you hastily bought online? No worries. You don’t need a psychologist to peek into the mind of your groomsman. You’ll know what he needs at the moment by just observing him and listening to the man of your life gush about the guy. Funny, but you may need some covert sleuthing to be right on target. If he offers to pay for dinner and rifles through his wallet for a bill, then give him a personalized magnetic leather money clip. You won’t miss with the prima leather executive front-pocket wallet with credit card slots and money clip by Tony Perotti. If he shows up late, balancing bottles of wine for your beach party, then give him an alarm clock or a double wine bottle leather wine carrier and presentation case. He’ll whoop and hop with glee for this thoughtfulness. If he likes to strut his stuff, then give him jewelry. You won’t go overboard by giving him the Havana stainless steel with Rosewood and Mother-of-pearl pendant. It’s a sure thing he’ll start a career as a groomsman. Gifts like trendy jewelry will make him feel truly special. If he is one of those young men who contributed to the comeback of ties, then give him the Dolan & Bullock 14-Karat Gold Tie Chain to wear for those special dinners. A laptop backpack in top grain Napa leather by Royce is the fitting gift for a groomsman who loves the outdoors and can’t live without his PC. The groomsman will always be a friend for life. Show him how you have appreciated his role during the hectic wedding paces. 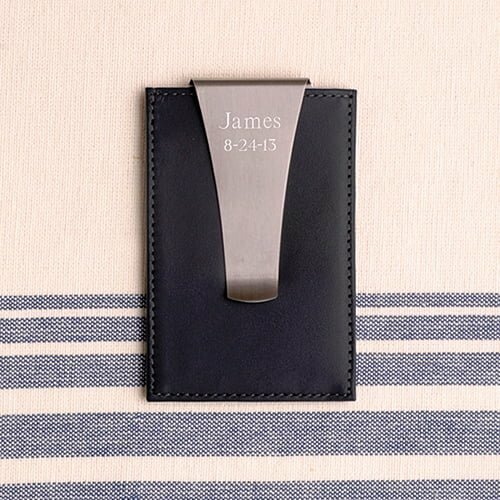 For an additional $5.95 have his name engraved on the items. A special message will bind your friendship for years to come. For sure, he’ll show off your token carefully selected from a showcase of groomsman’s gifts online. As always, it is the thought that counts and taking that extra effort will be both rewarding to you and your best man. Shop without the stress. After those calls to the caterer, and gown fitting sessions, or negotiating for the venue, get your PC and shop together. You and your partner will enjoy the break. 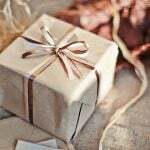 You can also shop for beautiful gifts for your bridesmaids and ring bearer on top of browsing through groomsman gifts ideas.